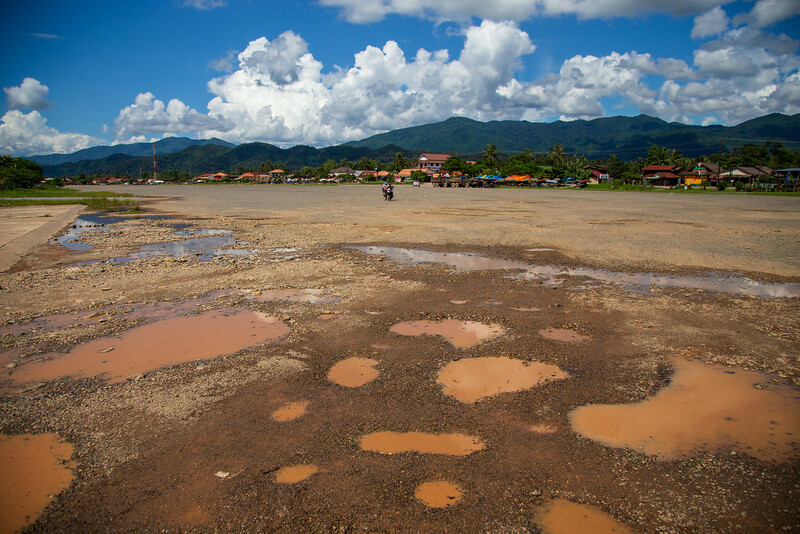 If you visit Vang Vieng, Laos there is a large airstrip along Route 13 just as you come into town. Nearly a mile long, probably 200 feet wide, the runway, now crumbling and potholed, is surrounded by residential housing, cheap restaurants and bars. Motorcycles and herds of goats now cross this strip of asphalt unrestricted and without worry and that is okay because this runway, once known as ‘Lima Site 27’, isn’t supposed to exist, but is one of once were many Lima sites in Laos. Brazenly built by the American CIA to supply the Royal Laotian Army and the Hmong Clandestine Army during the war in Vietnam, this runway was kept secret because its construction was clearly in violation of the 1962 Geneva Accords prohibiting American military involvement in Laos, and in violation of American law. I know many people would like to forget things like this inconvenient strip of blacktop in the jungles of Laos and what it represents, but here it is in full daylight, decaying and ugly. I am sure a lot of bad things were instigated from this place and history has certainly shown that nothing good came for it. A lot of blood and treasure was lost on both sides of the conflict and I don’t imagine things would be much different if we had never been there at all. I wonder how many other places there are in the world where the same thing will one day be said? It was humbling in a way to see, right in your face, evidence of our sometimes misguided foreign policy.